The 356 ‘No. 1’ Roadster has a colourful past. 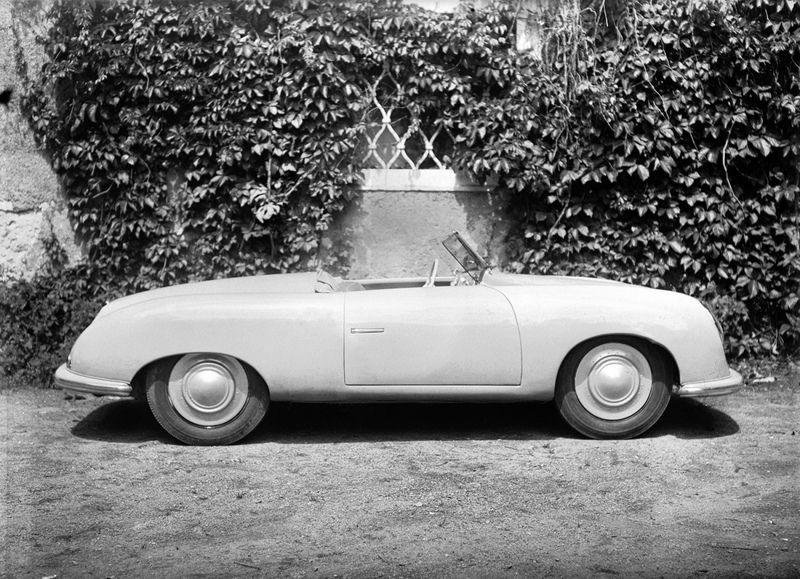 The first ever Porsche to be produced was one of a kind and not only changed owners several times in its first ten years, but also took some punishment along the way, and was repaired and converted too. 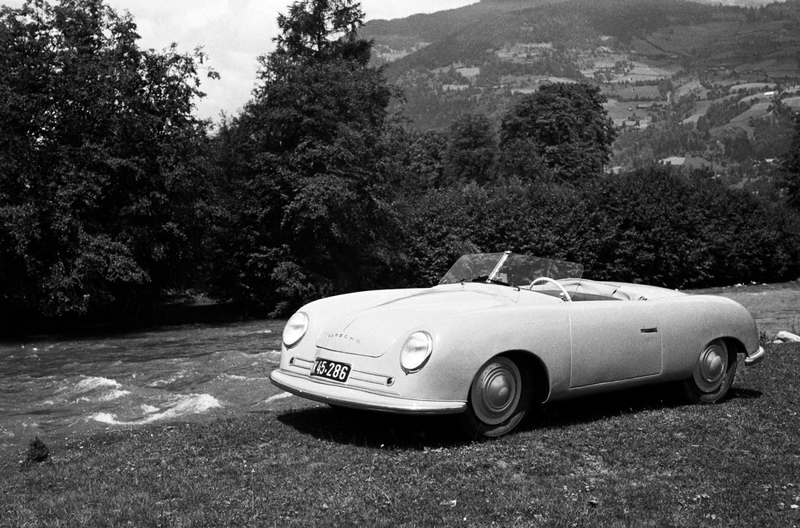 Ferry Porsche’s dream of creating his own sports car started to become a reality in summer 1947 under the project number 356.49.001. 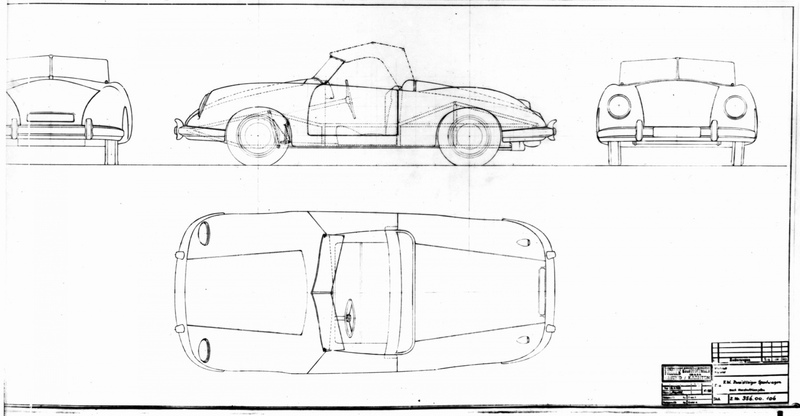 The dimensional drawing from 6 January 1948 shows a mid-engine two-seat roadster with a tubular frame – an underlying concept taken from racing car designs. Aside from the body, the components for the engine, gearbox and chassis largely came from Volkswagen and were specifically modified for the Porsche design. A roadworthy chassis had been completed by February 1948 and a sleek roadster body made of aluminium was produced for this shortly afterwards. On 8 June 1948, the prototype bearing the chassis number 356-001 was granted a general operating permit by the Carinthian state government. This date has since been considered the birth of the Porsche brand, as it marked the first time that an innovation developed by this renowned engineering office also bore the family name. The performance figures soon caught the attention of sports car enthusiasts: the four-cylinder boxer engine taken from a Volkswagen was upgraded from 18 kilowatts (24.5 horsepower) to 26 kilowatts (35 horsepower), while the car achieved a kerb weight of 585 kilograms. This made it easy for the roadster to match the driving performance of considerably more powerful rivals. 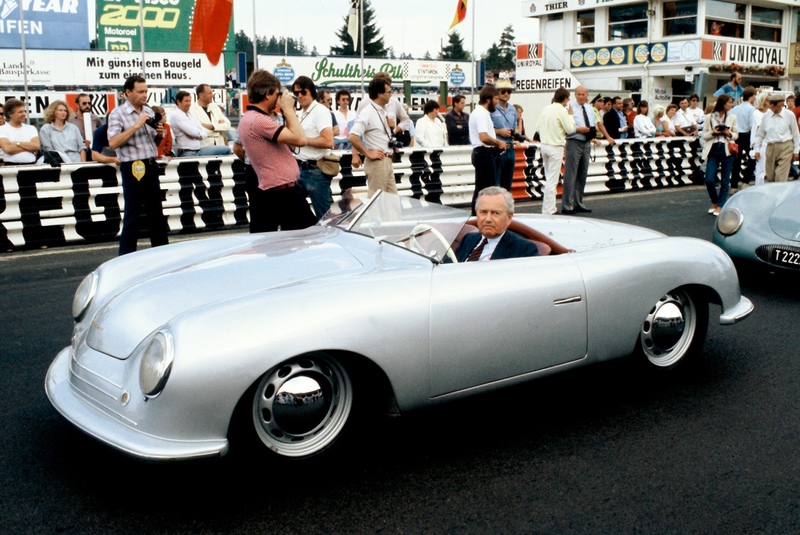 As the fledgling company needed money to build more cars, Porsche sold the prototype to the entrepreneur Rupprecht von Senger for 7,000 Swiss francs on the day it was granted approval. The 356 ‘No. 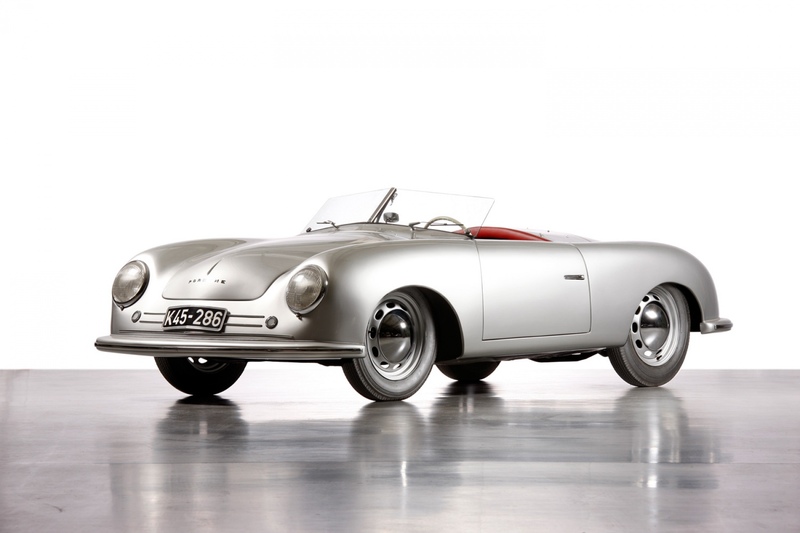 1’ Roadster then changed hands several times and was repaired following a collision, with the front and rear section being adapted in line with the production version of the Porsche 356 at the owner’s request. This resulted in a number of changes, such as a lower front and the installation of a two-piece rear cover in place of the original single-piece solution. 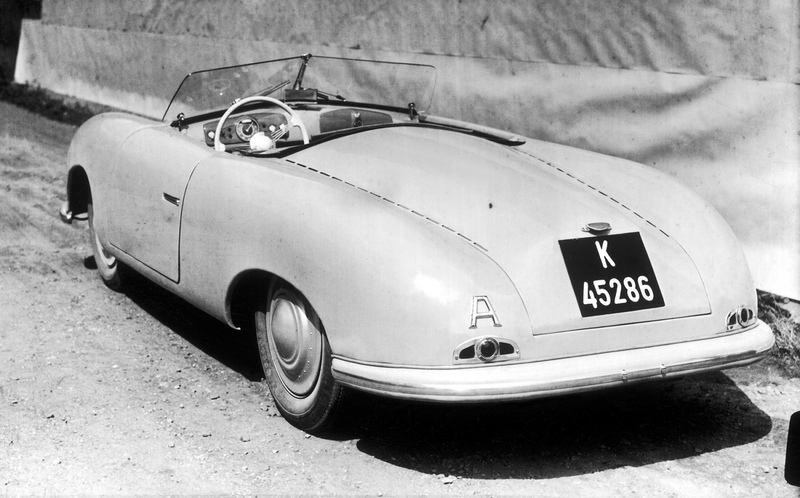 The prototype was also given a 1.5-litre engine and hydraulic brakes in 1952. Richard von Frankenberg, a racing driver and chief editor of the customer magazine ‘Christophorus’, then exchanged the 356 ‘No. 1’ Roadster for a 356 Speedster in 1958. 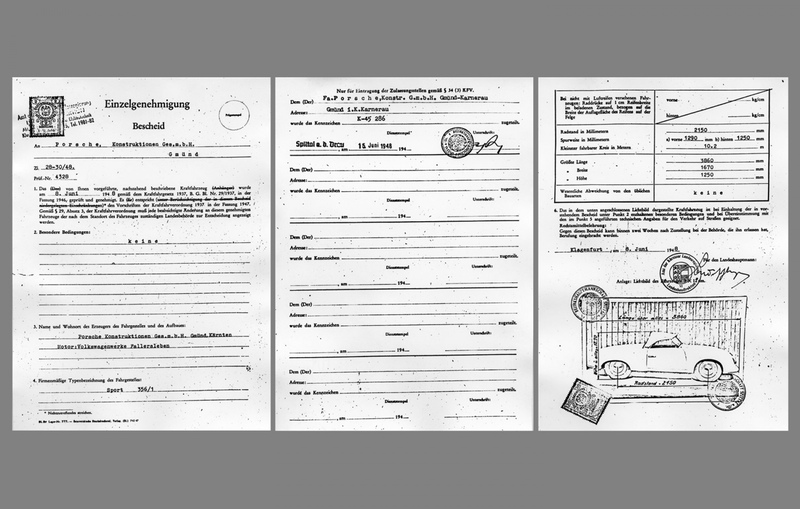 This made Porsche one of the very few car companies in the world to still have the first-ever car to bear the brand’s name. As an original with its own special story, the 356 ‘No. 1’ Roadster was not returned to its initial state but allowed to remain with all its adjustments and modifications intact – in honour of the many different phases of this historic model. 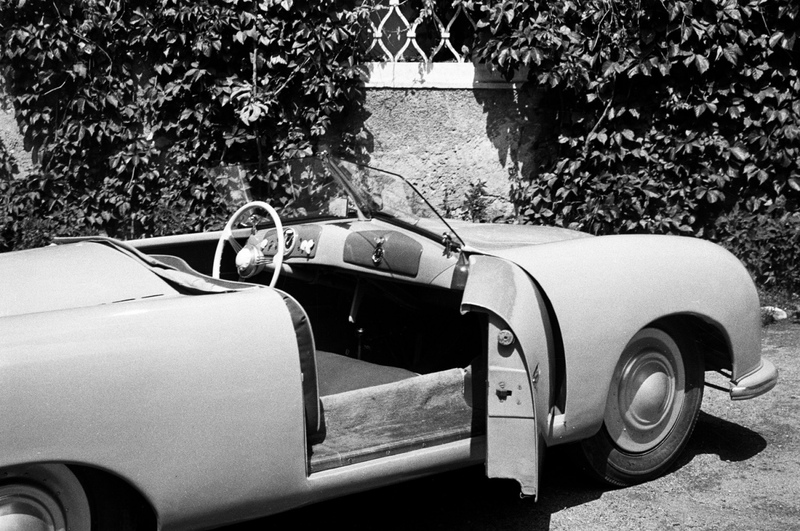 Then as now, the first Porsche ever built is still fully functional. As part of a 2018 world tour to mark its anniversary, it will not only be on show at a range of events but will also be taking part in various historic races such as the Goodwood Festival of Speed and the Porsche Rennsport Reunion.